Looking for money for school? A private student loan, also known as alternative student loan, is a good option for certain students to complete your undergraduate degree, graduate degree, online degree or trade school certification. We will issue loans up to 100% of your school-certified undergraduate and graduate school costs. A New Mexico Student Loan is a fixed-rate supplemental education loan for graduate and undergraduate students enrolled at least half-time. The New Mexico Educational Assistance Foundation encourages you to first apply for federal financial aid, scholarships and grants before applying for a private student loan. That’s right – we are NOT for profit. 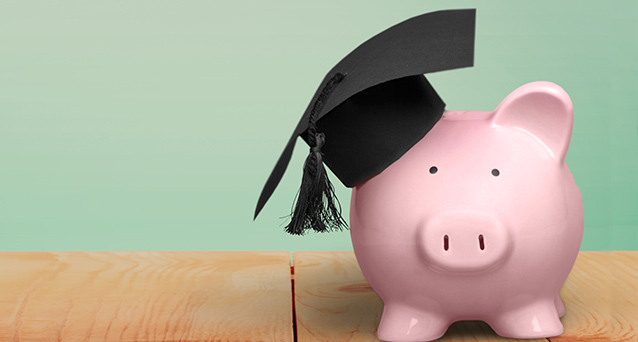 Unlike other lenders, all of the money we earn beyond expenses goes back into helping students and families plan, prepare and pay for college. Sorry, but if we feel that a private student loan is not in your best interest we won’t approve your application. We want our students to have a healthy financial future. Unlike other private loan providers, we don’t issue variable interest rate loans because we care about your financial future. Fixed interest rates allow you to plan for and establish a reasonable loan repayment strategy. Federal government student loans also only have fixed interest rates. We understand New Mexico’s students and universities better than any other student loan provider. If you ever want help in person you can visit our friendly representatives in our office in Albuquerque. Also, when you borrow from us, you are helping employ fellow New Mexicans. We believe you will be a good borrower so after 24 consecutive on-time repayments we will reduce your interest rate by 0.25%. Your success matters to us. When you graduate we will reduce your interest rate by 0.25% as our special graduation present to you. We won’t charge you for processing or disbursing your student loan, we feel this is money that should stay with you. All student loans have no penalties for early payments. We care about your financial future success so we will work with you to find the right loan repayment plan. And, if you sign up for automatic payments we will reduce your interest rate by 0.25%. After 24 months of payments and a proven credit check, the student borrower may apply to have their cosigner released from the student loan. We’ve been helping New Mexican families by servicing student loans since 1981. Our experienced and knowledgeable team provides excellent customer service and has a proven history of success. We are proud to be serving the community of New Mexico for more than 35 years. You can trust you are in good hands with NMEAF as we have been servicing New Mexican's since 1981 and have helped more than 340,000 borrowers with $2.9 billion loans. Learn more about how we help New Mexico. The best way to pay for college is scholarships, grants, savings and federal student loans. Make sure you evaluate all anticipated monthly loan payments and how much you expect to earn in the future after graduating before considering a private student loan.